Is There Any Place for Magnetocardiographic Imaging in the Era of Robotic Ablation of Cardiac Arrhythmias? This article reviews major problems and difficulties faced by the authors along more than twenty years of clinical application of magnetocardiography (MCG) as a tool to improve the diagnosis of arrhythmogenic mechanism(s), non-invasively. It is also emphasized that an exhaustive understanding of individual electrophysiology is mandatory before any intervention, which can modify the substrate and complicate the treatment of patients in the case of ablation failure. 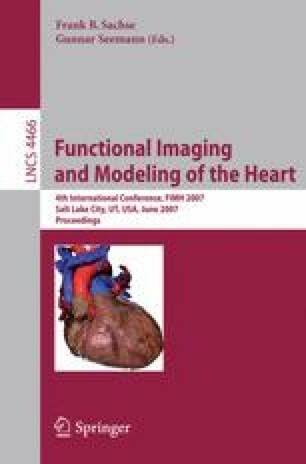 The reasons for scarce acceptance of MCG, compared with the success of recent methods for invasive three-dimensional electroanatomical imaging (3D-EAI), are discussed to provide suggestions for needed changes in R&D strategy. MCG might be a powerful method for non-invasive 3D-EAI, but appropriate tools for its clinical applicability are still lacking and need to be urgently developed, through serious investments and interdisciplinary cooperation. Partially supported by grants Sigma-Tau research contract DS/2004/CR/#22 and by the National Science Foundation, SBIR phase II award #0349580.